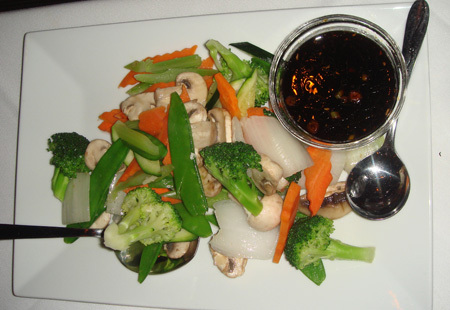 Dah-Mee in downtown Natick is a great place that offers a variety of Asian cuisine. It’s one of those places that my friends and can always agree on meeting at because there is always something on the menu that we’ll be in the mood for. 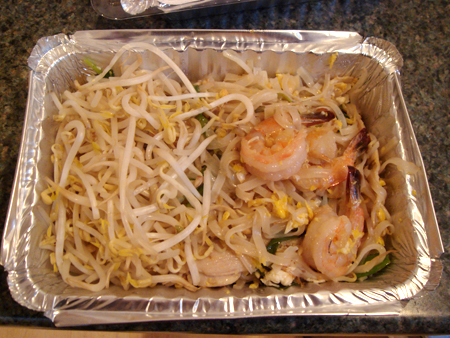 It’s also a fairly short drive to get take-out and on a recent visit, Ethan and I picked up some Pad Thai which is pretty decent although we used to be so spoiled when we lived in Waltham and in walking distance to Erawan of Siam’s which has the best Pad Thai around. Nice little score. 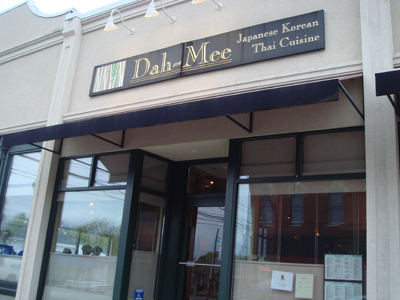 In general Dah-Mee is pretty consistent, I’ve been there when they’ve had some “off” nights but for the most part it’s a good place. 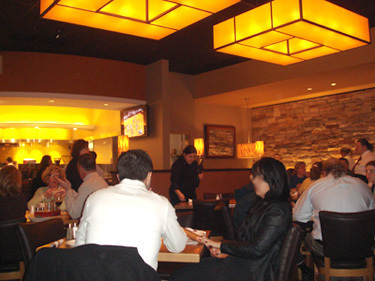 Last week a friend and I went to Oga’s in Natick. I couldn’t get a good picture of the interior but it’s pretty sleek and modern inside with some tables having their own rooms. We got a couple of things like edemame and seaweed salad. 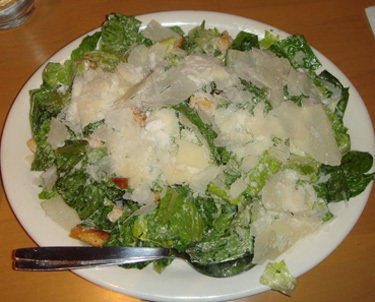 Both were what we expected, although I didn’t take pictures, they were both typical serving portions. The quality of sushi is very good, and reflects in it’s price: not outrageous, but not cheap but then we were asking ourselves- do you really want cheap sushi anyway? 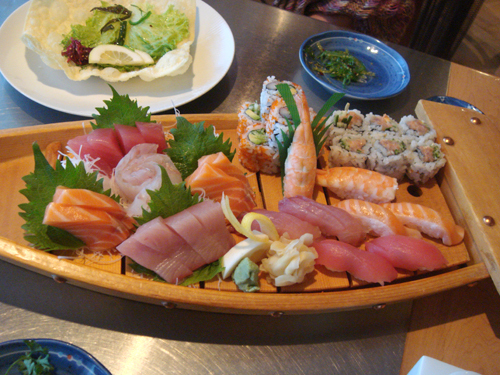 The combination on the boat was an offering of sushi, nigiri and sashimi which was was all excellent. We enjoyed this a lot. 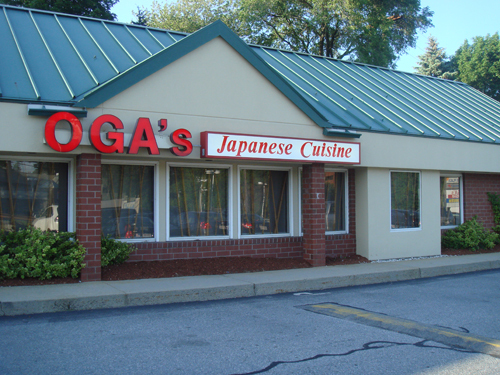 Oga’s isn’t a place I’d go to every day but it’s good for the occasional craving of good sushi and I’d like to go back and try some of the rolls on their makimono menu. I know it’s crazy but I’ve never been to Casey’s in Natick for a hot dog. Last week my om and I decided to head down and see what it’s like. The place is tiny with maybe 10 stools and since it’s a very tight fit in there they have an order window on the right side of the building where you can take your dog to go. It’s funny that even though it’s so small, there are three guys working behind the counter, all keeping busy. 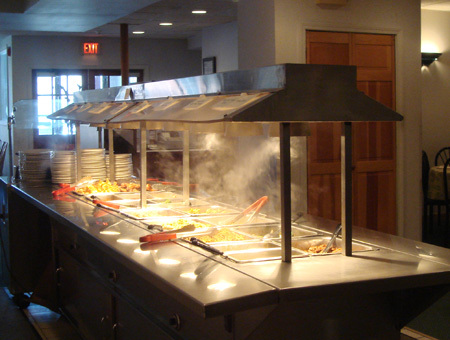 One cooks, one handles the people at the counter and one works the take-out window. 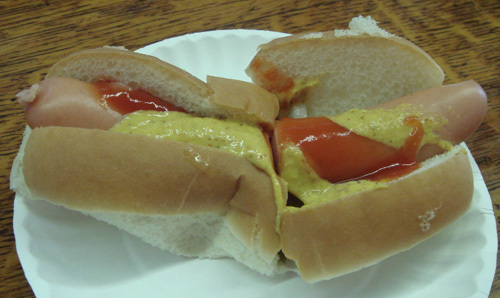 My mom and I both got a dog with mustard, ketchup and onions (they put under the dog) and we thought it was interesting that they cut them in half for some reason. They also serve a limited menu of hamburgers, ham sandwiches, and a couple of other things but most people seemed to get a hot dog. 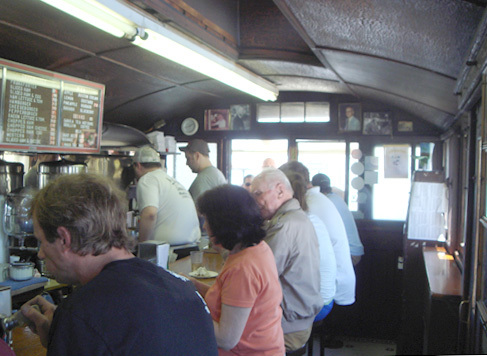 It’s a really interesting little building and worth sitting at the counter if you can. 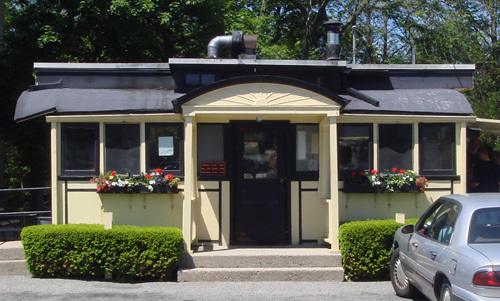 Casey’s is at 36 South Ave., Natick. 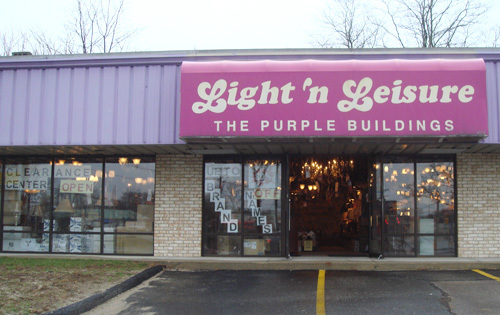 Light and Leisure (the purple buildings!) had a going out of business sale last summer and we bought a ceiling fan thinking we better grab it while we were there since we don’t go to Milford that much (although we should because I love that town). Almost a year later they’re still open as a clearance center. I feel kind of like a sucker because I fell for the “Going out of business! !” shtick, but oh well. I was kind of sad to see the store closing because I grew up down the street and it had been there for so long, so I guess it’s nice that it’s sticking around but I can’t help but wonder if the fan I bought last year is even cheaper now. 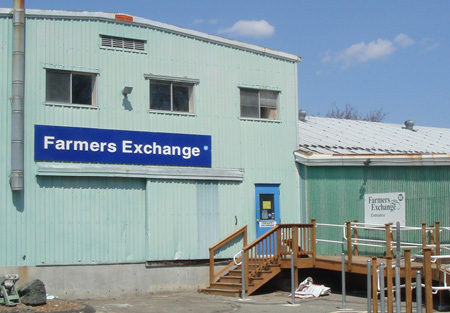 One of the nice businesses that has moved from walking distance from our house in Framingham is the Farmer’s Exchange. Luckily, it didn’t move too far and is about 3 miles away on Nickerson Road in Ashland. 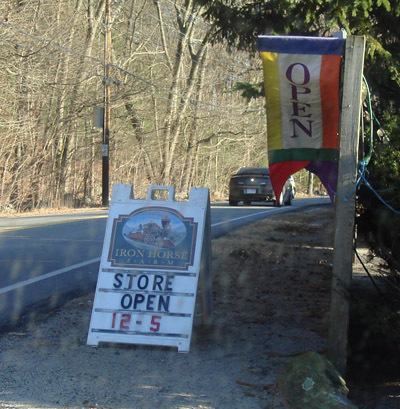 I really like this place even though we don’t have much of a yard but they have all sorts of synthetic and organic products for yards and plants, lots of birdfeeders, pet food etc… It’s nice just to walk around and see what they have. On our last visit we got some grass seed and fertilizer for our Azalea bushes. The woman working there was very helpful and kept us from buying the wrong kind of seed (I thought we could mix in Black Beauty into the established yard but you can’t- well you can, but it’ll look terrible) . If you ever have any questions about anything I’ve always found their staff to be very friendly and helpful. 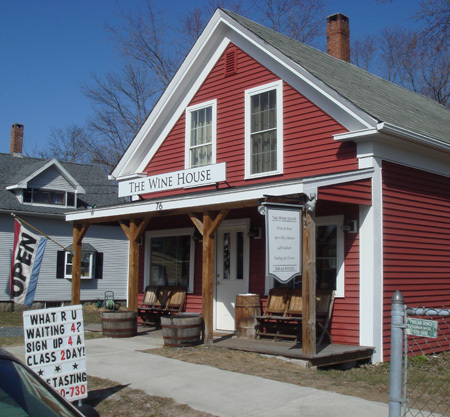 Sad to have them leave Framingham but happy they’re still in business and nearby. I don’t get to Sudbury that often but when I do, I always enjoy stopping at Sudbury Coffee Works. They have a great variety of coffee beans that they roast there. My favorite is called 1776. My mom loves it too and I’ll get her a pound or so when I go there so she can brew it at home. 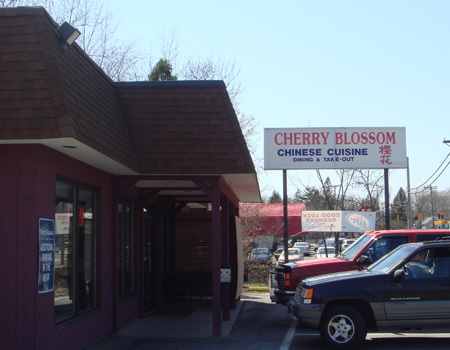 As much as we (my mom and sisters) love a good Chinese buffet, we never really frequented Cherry Blossom in Ashland that much but always had a decent experience there. My mom’s friend who doesn’t really like Chinese food loves this place. I went here with my mom a while ago since it had probably been few years since the last time we went. Here’s a little sampling, mom loves their Shrimp Toast so I tried it and thought it was just okay, it was more greasy than anything but when mom tried it she agreed and said it used to be better. Maybe they just had an off day with the Shrimp Toast. I’ve posted about their breakfast before but just recently got to lunch. One of my favorite things about J&E’s are their pickles, which they bring to the tables with coleslaw to the table after you order. 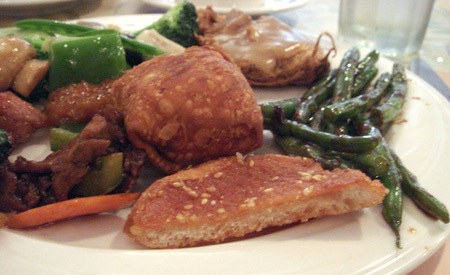 I got what I usually end up getting, the “Jewish Pu-Pu Platter”, which is a meat knish, kishki and a potato latke. 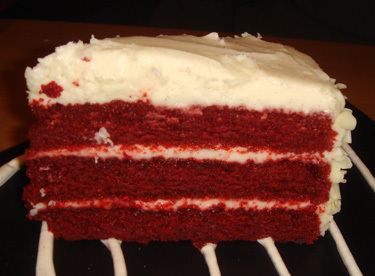 So bad for you but so good! You really can’t go wrong with anything you get here, I wish I could go here all the time but the occasional treat makes it that much more special. 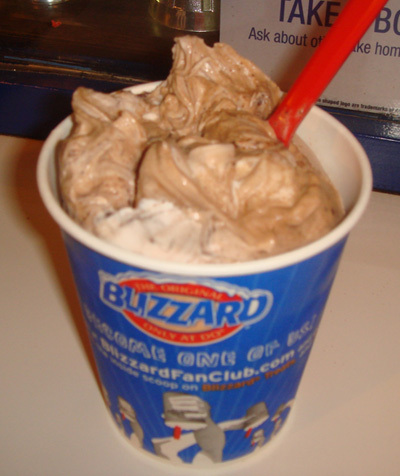 Yaay, ice cream! 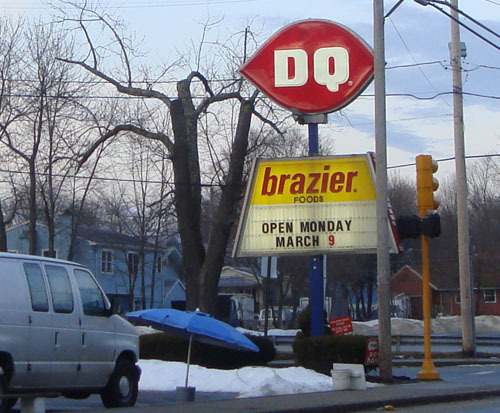 I was driving through Ashland today and although the scenery looks pretty dismal, it was encouraging to see that Dairy Queen opens for the 2009 season tomorrow. I have witnessed her amazing capabilities first-hand and can honestly say she is a one-woman force of nature. 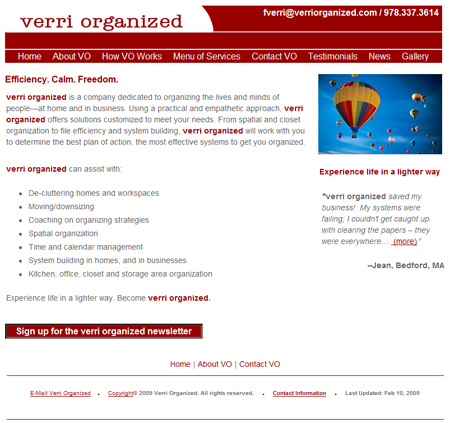 Check out her website at www.verriorganized.com. → Leave a commentTags: Support Local Business! The other night we went to go check out Lavender. They serve “Asian cuisine” and it’s located in the Shaw’s plaza in Sudbury. 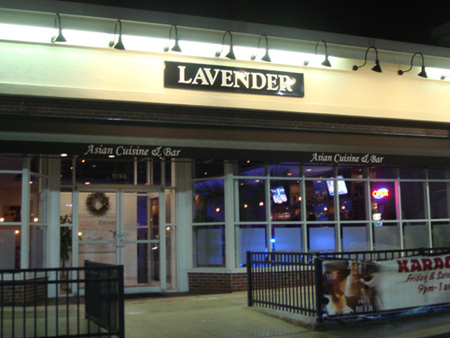 Inside is clean and modern with a lavender glow that comes from under the bar area. 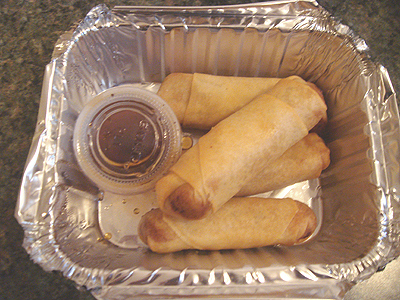 We started off with an order of Crab Rangoon and Beef Teriyaki. The flash was a little too much for this picture but these were very good. 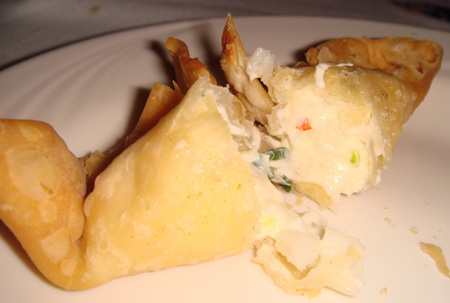 Nice and creamy and almost over stuffed. 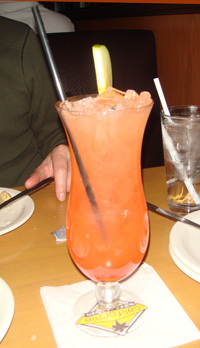 They also offer a snow crab version of these for a little more money. The Beef Teriyaki was very good. 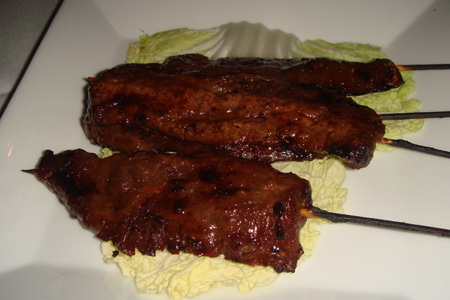 The meat was well marinated and moist, not the dry, leathery meat impaled on a stick that is the result of over cooking that happens at some places. 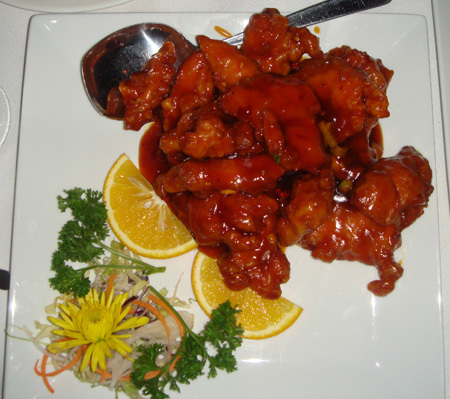 For an entree we we got Tangerine Chicken which was kind of like General Gau’s but with tangerine peel and not as spicy. We liked that there was no mystery segments or fried globs of fat with a little chicken attached to it. 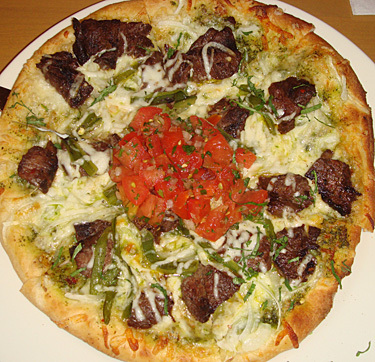 Every piece was pure meat. 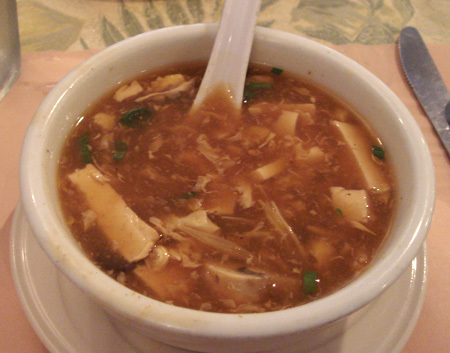 I would describe this but it’s very straightforward and comes with a nice soy/scallion sauce. We liked Lavender a lot and Ethan really, really liked their Mai Tais. This is a welcome addition to metrowest “Asian” food options and we’ll definitely be back. 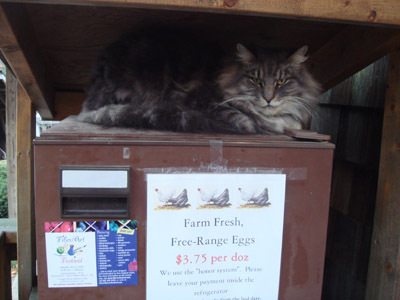 Iron Horse Farm, at 29 Coolidge St. in Sherborn is a nice little farm that sells a selection of crafts in their shop but I go every other week for the eggs. 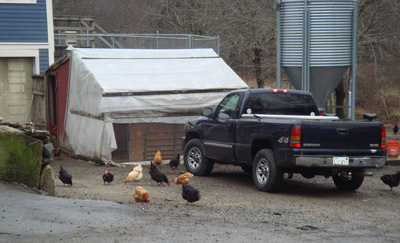 There’s something nice about pulling into the driveway and seeing the chickens you get your eggs from just walking around freely. 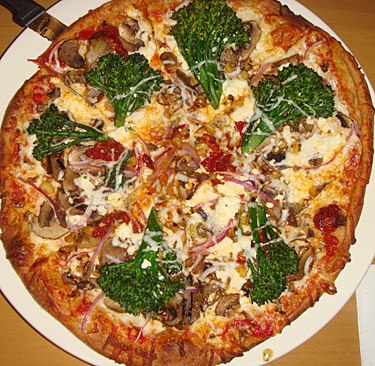 → 4 CommentsTags: *Natick · Pizza quest!